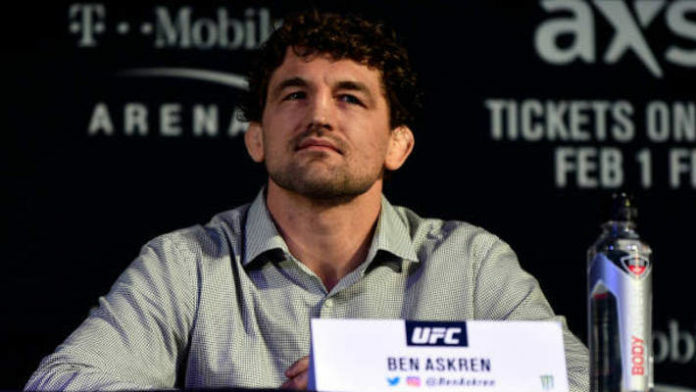 Ben Askren believes Kamaru Usman’s attempt to at “acting tough” has backfired. Askren has been calling Usman “Marty From Nebraska” since signing with the Ultimate Fighting Championship (UFC). While Usman brushed off the nickname, things got dialed up a bit when Askren claimed that “The Nigerian Nightmare” didn’t want to fight him in January. Footage was posted of Usman confronting Askren backstage at the UFC 235 press conference. “Can you believe Marty put this video out? This video makes him look like a dumb-dumb and it was his camera person that put it out! He is bragging about this and this is what I can’t stand about fighters. Listen, we get that you’re tough. You fight in a cage. I understand that perfectly, but he has to come up to me, [when] you know nothing is going to happen back there, Marty! Why are you getting in my face? You know you’re not gonna risk your main event shot by punching me in the back hallway. On March 2, Usman will challenge UFC welterweight champion Tyron Woodley. On that same night, Askren will make his UFC debut against former 170-pound kingpin Robbie Lawler. What did you make of the confrontation with Ben Askren and Kamaru Usman?